Governor Christine Gregoire (D) (pictured, right) signed a proclamation declaring May as "General Aviation Appreciation Month" in Washington State Tuesday. The proclamation outlines the critical role general aviation plays in business, agriculture, emergency medical air-service, as well as to the overall economy. General aviation contributes over 178,000 jobs and approximately $3.18 billion in total economic impact to Washington alone. Governor Christine Gregoire said, "I am proud to sign this proclamation recognizing May as "General Aviation Appreciation Month" here in Washington. General aviation means good jobs, business growth and access to medical care, disaster relief, law enforcement, and a host of important resources to communities across the state of Washington." "Washington State has long recognized the value that general aviation brings to the state?s economy across our diverse communities. The Governor's Proclamation validates this recognition. General Aviation airports are the backbone of the state aviation system and a critical element of the state's overall transportation system," said John Sibold, Aviation Director at the Washington Department of Transportation. 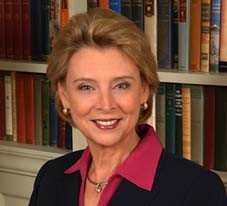 "We applaud Governor Gregoire's recognition of the importance of general aviation to not only Washington, but the entire nation," stated Selena Shilad, Executive Director of the Alliance for Aviation Across America. "General aviation provides thousands of small towns and rural communities across Washington and the country access to medical and emergency service, business, and other crucially needed resources. We look forward to continuing to work with the Governor to highlight the benefits of this vital industry." 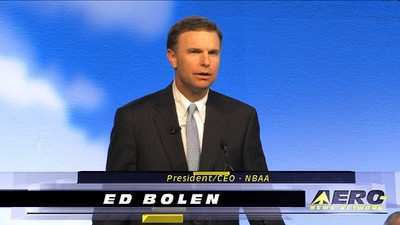 Ed Bolen, National Business Aviation Association president and CEO, welcomed Gov. Gregoire's proclamation. "It is great to see Washington join other states in recognizing the value of general aviation to their communities and economies," he said. "Business aviation supports more than a million jobs, provides a lifeline to cities and towns with little or no airline service, helps companies of all sizes be more efficient and productive, and supports flights to help people and communities in times of crisis." 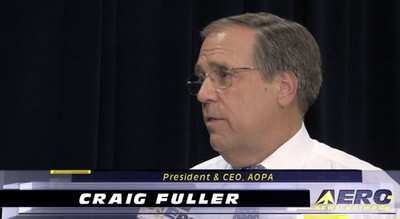 "General Aviation is critical to Washington's economy and quality of life," said Craig L. Fuller, president and CEO of the Aircraft Owners and Pilots Association. "This year's spirited discussion on aircraft taxes in Olympia brought home to all of us the importance of grassroots efforts spreading awareness of the value of aviation to Washington. The pilot community appreciates Governor Gregoire's recognition of how General Aviation serves Washington State every day, and pledges to continue its commitment to work with the State in promoting GA."
"America's network of community airports are critical to sustaining the 1.2 million jobs and $150 billion in economic impact generated by general aviation nationally," said Henry Ogrodzinski, President of the National Association of State Aviation Officials. "With over 140 public-use airports in the state of Washington alone, businesses, manufacturers, and emergency personnel can access nearly every corner of the state in mere hours. We commend the Governor for taking this important step, thank her excellent state Aviation Division, and look forward to continuing to work with her on supporting a strong general aviation industry in Washington."